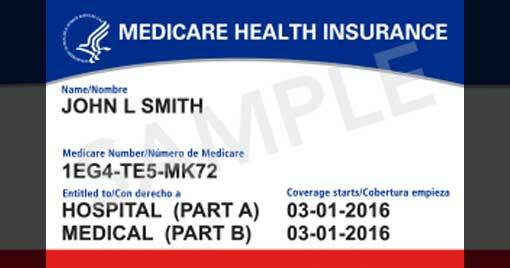 According to the Centers for Medicare & Medicaid Services (CMS), 58 million Medicare beneficiaries will begin to receive new Medicare cards over a 12-month period, starting in April 2018. This is to eliminate your Social Security Number (SSN) from the card in order to fight medical identity theft. These numbers will be replaced with a Medicare Beneficiary Identifier (MBI) made up of up to 11 letters and numbers to be used for billing, eligibility and claim status. Your new card will automatically come to you. You don’t need to do anything as long as your address is up to date. Distribution takes time. Your card may arrive at a different time than your friend’s or neighbor’s. Once received, destroy your old Medicare card and start using your new card right away. Your Medicare coverage and benefits will remain the same, unless you updated or changed. Healthcare providers and physicians will ask for your new Medicare card the next time you need care, so make sure to bring it with you. Only provide your new Medicare Number to doctors, pharmacists, other health care providers, your insurers or people you trust to work with Medicare on your behalf. Residents benefit from complimentary appointments through the Legacy Foundation at Shell Point, where questions about Medicare and financial planning can be answered. For more information about this change, visit www.cms.gov/medicare. This entry was posted in Medicare by Shell Point Retirement Community. Bookmark the permalink.